Every bride has their own ideas for weddings and the wedding flowers and we will work with you to bring this to fruition. 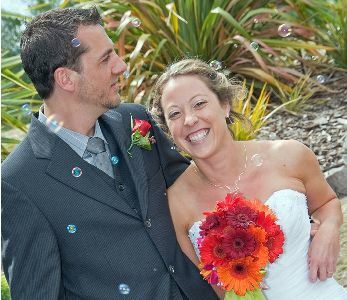 Kerry has an extensive portfolio of weddings and can create any kind of wedding floral wishes for brides from the subtle to the ridiculous, huge glamour to simple natural requirements. Whether you are just want a single bouquet for the bride or the works including bridal party bouquets, buttonholes, corsages, church or chapel flowers, flowers for the cake and any ideas you may have, using beautiful quality flowers, we will work to your budget to add to the lasting memories of your special day. Ellerslie. A small selection from my portfolio can be seen below. 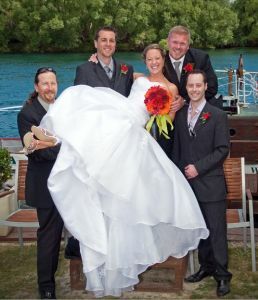 The Bride wanted bright colours to jazz up the muted tones at the Waikato River location.